Mario Balotelli is a 21 year old Italian soccer player. He plays striker for the English team, Manchester City, as well as the Italian National Team. His professional career has been spotted with disciplinary problems. 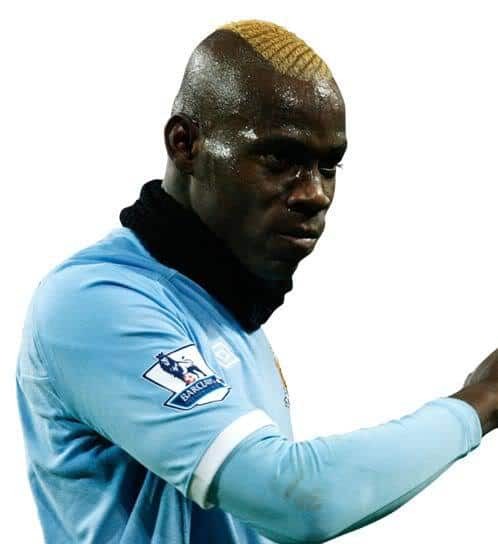 However, the focus of this article is a look at Mario Balotelli hairstyles. Mario Balotelli shaved head. Photo by Goal.com. This young man has worn several different hair styles throughout his career. He has been seen with his head completely shaved as the shortest style. This one takes no real effort to style, but is high maintenance due to the need to shave often. Moreover if he has hair tattoo on his head. Mario Balotelli with hair tattoo. Photo by Goal.com. He has also worn a Mohawk in different styles. One is the common Mohawk with the sides of the head shaved up to leave a strip of short hair about two inches wide on the top. He has also modified this by allowing the center strip to become wider, covering most of the top of his head. The very center half inch or so was allowed to grow longer. 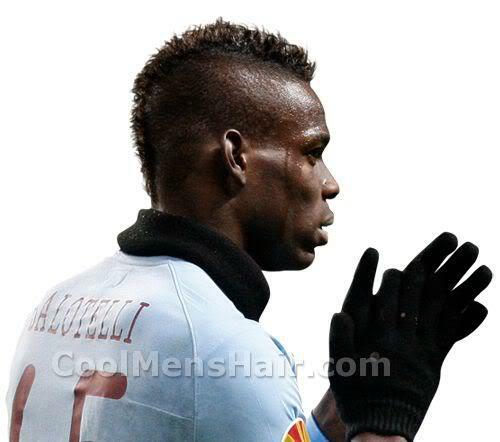 Mario Balotelli short mohawk hair with tattoo. Mario Balotelli with short hair. During one point in his career, he even wore a standard short style that was somewhat more conservative. 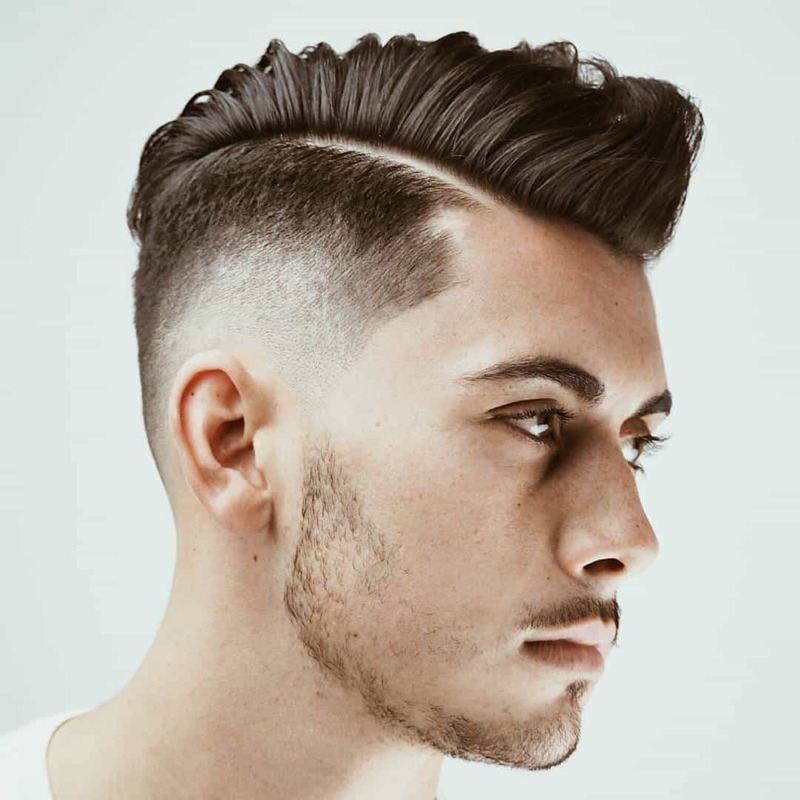 This style took advantage of the natural curl in his hair to allow him to avoid having to devote any effort to styling it. The most effort that was needed with any of these styles was a need to have the hair cut often. Mario Balotelli hairstyles have changed significantly over the course of his career. He has worn a conservative short style that would have been appropriate in any professional setting, a completely shaved head, and two different variations on the Mohawk. All of these styles, except the shaved head, took advantage of his natural curl to provide styles that required no effort on his part to create and/or style. He simply has to see a barber frequently to keep the length right.